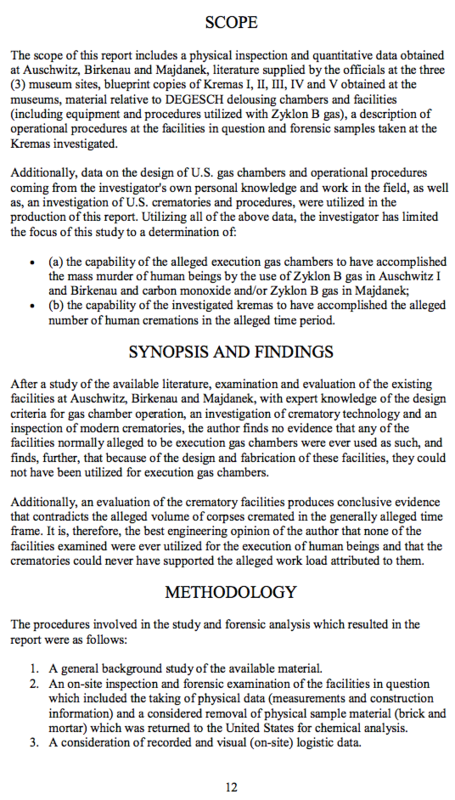 After a study of the available literature, examination and evaluation of the existing facilities at Auschwitz, Birkenau and Majdanek, with expert knowledge of the design criteria for gas chamber operation, an investigation of crematory technology and an inspection of modern crematories, the author finds no evidence that any of the facilities normally alleged to be execution gas chambers were ever used as such, and finds, further, that because of the design and fabrication of these facilities, they could not have been utilized for execution gas chambers. Additionally, an evaluation of the crematory facilities produces conclusive evidence that contradicts the alleged volume of corpses cremated in the generally alleged time frame. 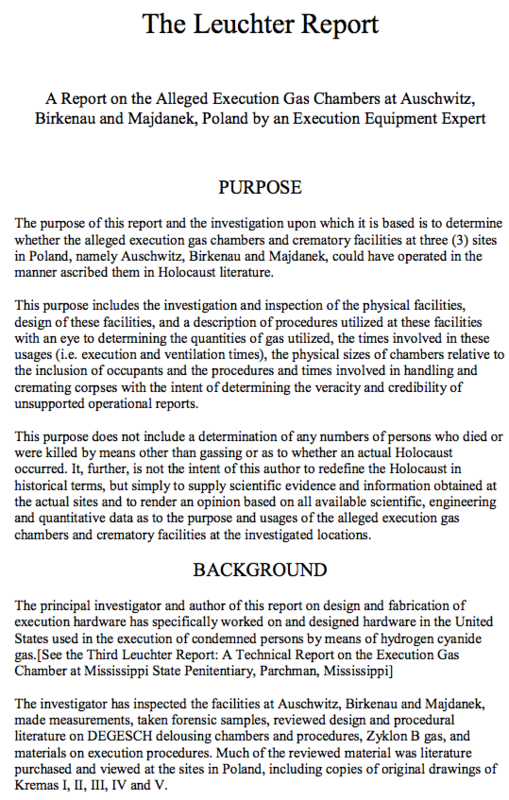 It is, therefore, the best engineering opinion of the author that none of the facilities examined were ever utilized for the execution of human beings and that the crematories could never have supported the alleged work load attributed to them.